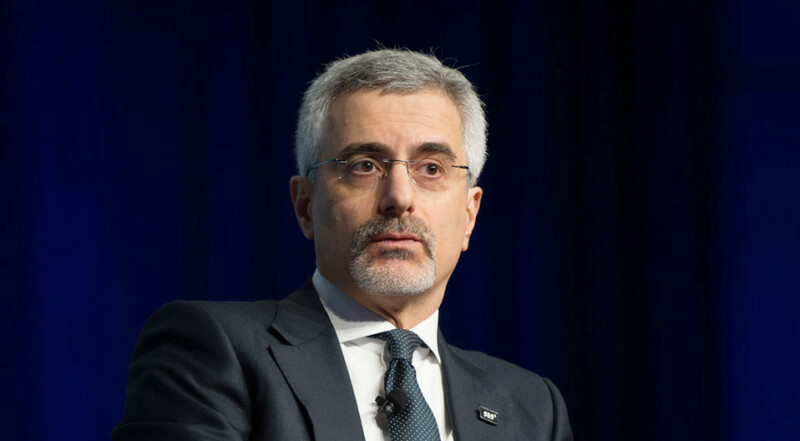 SES announced earlier this year that Karim Michel Sabbagh would step down in April as president and CEO. Credit: SpaceNews/Kate Patterson. WASHINGTON — Karim Michel Sabbagh, the departing CEO of satellite fleet operator SES, will return to the United Arab Emirates to lead a cybersecurity company headquartered there. DarkMatter, an Abu Dhabi-based cybersecurity company with research and development centers in Canada, Finland and China, announced Sabbagh’s hire March 5. He will join the company as CEO in April, splitting leadership responsibilities with DarkMatter’s founder Faisal Al Bannai. Sabbagh left the UAE to lead SES at its Luxembourg headquarters in 2014. He previously worked at the global consulting firm Booz & Co. in Dubai for more than 15 years. SES announced earlier this year that Sabbagh would leave the company in April and be replaced by Steve Collar, previously CEO of O3b Networks. SES took full ownership of O3b Networks and its constellation of high-throughput, medium Earth orbit (MEO) connectivity satellites in 2016. Last year, SES placed an order with Boeing for seven advanced MEO satellites called O3b mPower. SES is launching four more first-generation O3b satellites from Thales Alenia Space March 9 on an Arianespace Soyuz, expanding the constellation to 16 satellites. DarkMatter described the addition of Sabbagh as a means to further the company’s international presence.